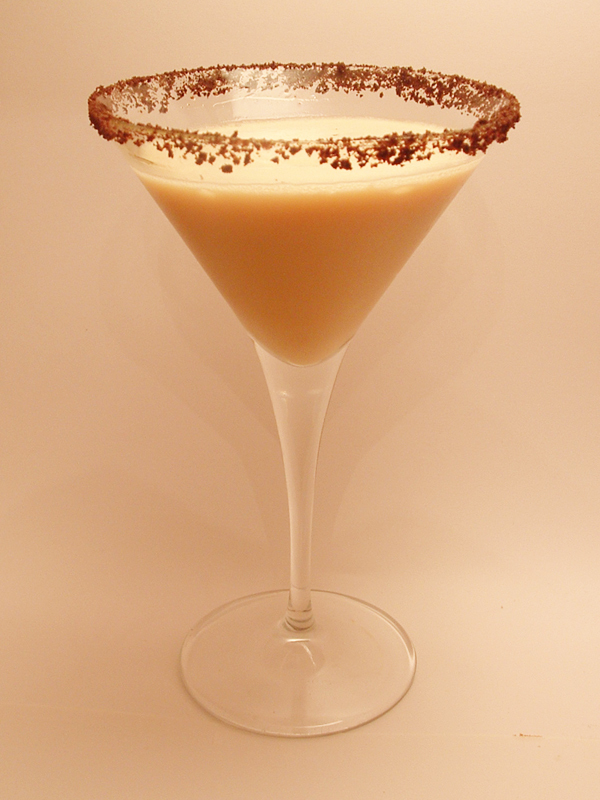 Dip the rim of the cocktail glass in the creme de cacao and then into the finely crushed Oreos. Take glass and place in freezer to chill. Pour vanilla vodka. 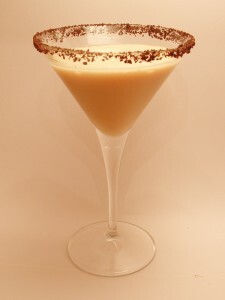 cream and dark creme de cacao into a cocktail shaker filled with ice. Shake vigorously and strain into the chilled cocktail glass.